former President Olusegun Obasanjo has no ethical directly to blame anyone for rigging. Obasanjo blamed President Buhari for intending to rig the election. Tinubu, in a statement yesterday, said: “By hook, crook or utter fantasy, Obasanjo seeks to return to Aso Villa, not as an irritating, importuning guest but as a long-term resident. He wants to be back in control. If he cannot be president, then the president better carve from his office a special room for Obasanjo. “Obasanjo thinks he is more than the greatest Nigerian. He thinks himself greater than Nigeria itself. Unless he is allowed to lead the procession, he will groan, grouse and grit. However, neither President Buhari nor the progressive APC have much use for his reactionary policies and his megalomaniac ways. 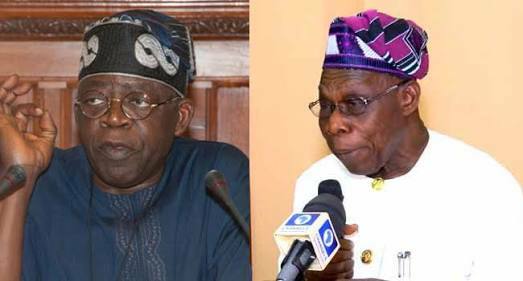 Tinubu, who is the Co-Chairman of the All Progressives Congress Presidential Campaign Council, said “Yet, the ways of Obasanjo are not those of the APC. And this difference has meant the better for Nigeria,” Tinubu said yesterday in his strongly-worded response in which he described the former president as an election rigger without peer. The riposte, personally signed by the former Lagos State governor, has its title as: “Chief Obasanjo – At war against his own deeds”. 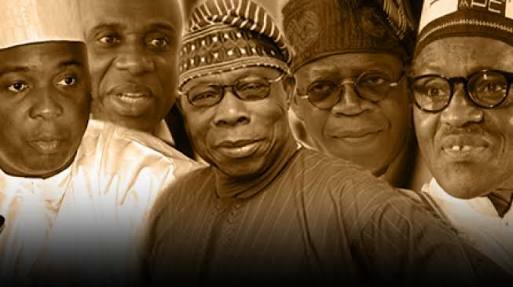 Tinubu’s statement reads: “Former President Obasanjo is many things to many people; but he is all things unto himself. His recent contribution to our political discourse wherein he alleges plots to steer the coming elections shows he benefits from an exceedingly faulty memory, is purely shameless or has a most wicked sense of humor. Perhaps all three are facets of his makeup and were equally on display in his latest prosaic display. “The crux of his long tirade was the allegation that INEC is poised to cook the election results. Chief Obasanjo should not get his dander up and waste good ink for nothing. This election will be a free and open exercise of the people’s right to choose their leaders. “Obasanjo makes fiery allegations against this right but offers no corroborating evidence; he presents only reams of words. This is because Obasanjo is projecting onto the APC the misconduct he would wrought if still in power. Yet, the ways of Obasanjo are not those of the APC. And this difference has meant the better for Nigeria. “Moreover, Chief Obasanjo should be the last to complain about election rigging. His administration was an unalloyed miscarriage of justice and of the best aspirations of the Nigerian people. “This man should have positioned himself to be the father of the nation. All the goodwill that could be granted a political figure was bestowed on him. The global economy was such that it fueled our growth. “Everyone wanted Nigeria to succeed after emerging from years of noxious military rule. Despite the flawed exercise that rendered him president, we all bit our tongues in hope that he would say and do the right things that would move Nigeria forward. “He tried to convert our young democracy into a one party state. His PDP boasted that they would rule for 60 uninterrupted years. Never did they boast that they would govern us well during even one year of the sixty. He could have placed the economy on the path to durable growth and shared prosperity through diversification, industrialisation and creation of a social safety net for the poor. “Instead, he handed the economy over to a tight group of cronies, turning what should be a modern economy into a version of the mammoth trading companies that dominated the 17th and 18th century. The Transcorp conglomerate was intended to be a throwback to monopolistic enterprises, such as the East Indian Company wherein a select handful would control the national economy’s strategic heights. “In his writing, Obasanjo alleges the Osun election indicates rigging will take place in the coming contests. Let’s go straight to the truth, Obasanjo has no grievance with the process. His personal history suggests fair process is the least of his concerns. “What knocks Obasanjo off kilter is that he could not dictate the result in Osun. He told those in the PDP that he held sway in Osun and throughout the Southwest. They believed him. He led them to defeat, notwithstanding the almost impossible voter turnout in PDP strongholds in that state. Obasanjo can only win an election when he has the final say over the final vote tally. Otherwise, he is a troubled man..."